What Does Travel Mean to Muslim Millennials? Home/Magazine /Opinion/ Muslim Millennials – What Does Travel Mean To Us? Youth travel is an important segment in the Muslim Travel Market. The global Muslim population is projected to rapidly grow largely because of its standing as the youngest population of all major religious group, with an average age of 23 – 7 years younger than non-Muslims (Lipka, 2016). Our team at HalalTrip sees a huge potential in this young segment. As it is, youth travel constitutes 25% of the annual travel visitor arrivals with the figure amounting to 1.1 billion (UNWTO & WYSE, 2016). In order to better understand what motivates Muslim Millennial travelers, we developed and established the three As – Authentic, Affordable and Accessible. 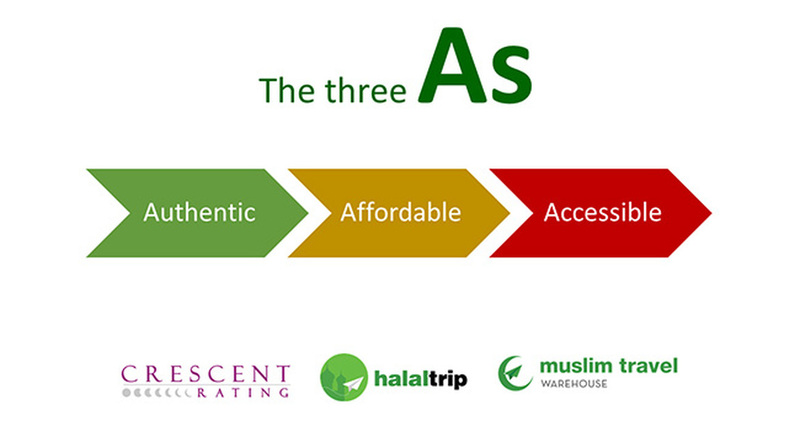 The three As provides a framework to the Muslim Millennial psyche. Muslim Millennials favor authenticity in three major aspects of travel: Flexible itinerary, Halal local cuisines and Destination discovery. The travel authenticity they seek has to align with their faith based needs and requirements. Flexible itinerary – Muslim Millennials favor flexibility over fixed itineraries as it allows them to mix and match their interests with ample time to immerse in the destination’s offerings. Halal local cuisines – Muslim Millennials seek authentic Halal food specialties of the destination. In European and Western parts of the world, the type of Halal food readily available is often of Indian or Turkish origin. Young Muslim travelers wish to eat authentic dishes such as Halal Thai Tom Yam when they are in Thailand or Halal Sushi when in Japan. Destination discovery – Apart from shopping, sightseeing and visiting the typical tourist hotspots, Muslim Millennials seek interaction with the locals. This might involve activities like visiting the city mosque and engaging with the Muslim community there. Accommodation – As Muslim Millennials tend to travel in groups, they often look for cheaper and bigger alternatives. Apartment style accommodation like Airbnb tend to be more popular amongst young Muslim travelers, perhaps because of the privacy and its element of destination discovery. Accommodation in the vicinity of the local mosque would also be favorable due to the availability of Halal food. Transport – Young Muslim travelers tend to make use of public transportation as they are more affordable. On most occasions, their accommodation of choice is close to a bus stop or train station. Experiences – Millennial travelers often travel with multi purposes. For instance, for personal development and leisure. This would constitute doing an internship or working abroad. Similarly, Muslim Millennials often travel to seek personal or spiritual development. This could include affordable experiences like volunteering at rural areas for a complete cultural immersion. Alternatively, study trips to Morocco or Jordan to learn Arabic for a few months is not uncommon. Fast and easy access to information at your fingertips ranks high on the list. In a street interview conducted recently by HalalTrip, a Muslim Millennial mentioned that “…mobile app is the best way as we are always with our phones”. Another explained that he can’t deny they are in the generation where they depend heavily on technology and even added that he would make the extra effort to purchase a data sim card from the local shops. Information & Technology – Like other Millennial travelers, Muslim Millennials require fast and reliable internet connection while on-the-go. They rely on it to retrieve important travel information such as the latest prayer times, Qibla direction of their current location, nearby Halal food or mosques and of course the obligatory Instagram or Facebook share. HalalTrip is an online travel website specialising in Halal and family-friendly travel which allows consumers to book flights, hotels and packages to destinations across the world via its website and app. It is wholly owned by CrescentRating Pte Ltd - the world's leading authority on Halal travel. For more information on HalalTrip please visit http://www.halaltrip.com/ or download the app available on both Google Play and App Store to get instant access to Qibla direction, prayer times, nearby Halal food, mosques & more when you travel. UNWTO & WYSE Travel Confederation. (2016). The power of youth travel.